Be sure to check the policy with whichever hotel you choose, but if possible, book more rooms and cancel later when Grandpa decides he isn’t up to the four-plus hour drive. It is far easier to cancel than to try to find a room in February for May graduation. If you are booking multiple rooms, just a tip; put them in different names because if you have them all in your name, and you need to cancel a room, the hotel may have to cancel the entire reservation. This actually happened to a friend of mine. August and December graduation reservations may be a tad easier, but there are far more students graduating then than you may think, so don’t hesitate to book early. UF lists the diploma dates, which means that will be the weekend of graduation. As of today, the next few graduation dates are the weekends of May 3, 2019; December 13, 2019, and May 1st, 2020. Check the website for which day and time is your student’s commencement as it goes by degree level and their specific college. Beginning last fall, UF changed the way it held graduation ceremonies with one a University-wide ceremony at Ben Hill Griffin Stadium and one in various locations depending on the college your student was receiving their degree from. This same type of ceremony will take place on Saturday, May 4, 2019, from 8:30 am – 11 am. For the Spring 2019 commencement, the speaker at the University-wide commencement will be bestselling author, James Patterson. Students will not be individually recognized at this ceremony. No tickets will be required for the university-wide ceremonies but you may need them for the individual college ceremonies. Seating will be on a first come, first serve basis. Remember to keep in mind that the stadium does have a clear bag policy and prohibited items. Click here to make sure you are aware of those items not allowed. Another change is that the college recognition ceremonies will now be located at various venues throughout the campus. 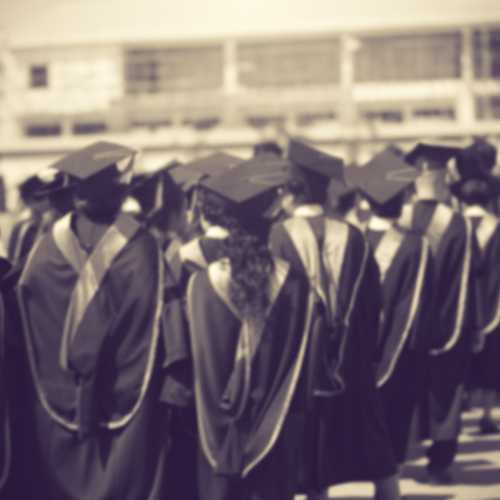 Click here to find where your student’s college is holding their ceremony. If they are being held at the O’Connell Center, make sure you know their list of prohibited items including oversized bags. That will change again with the Fall 2019 commencement ceremonies. They are going back to the former commencement format where students walk across the stage at the O’Connell Center and have their names read. Ceremonies for bachelors’ and masters’ graduates from different colleges will be combined by the college degree. And, most importantly, make sure your student has met all of the requirements. There would be nothing worse than heading up to UF for graduation only to find out your student has not fulfilled ALL requirements. See the checklist here. What if you have two family members (siblings, cousins, married couple) graduating at the same time? UF does allow you to fill out a waiver so that one of the students can request to walk in the other’s ceremony, that way both family members can see each other walk across the stage, and the visiting family members don’t have to choose which ceremony to attend. You may request the waiver by emailing uf-commencement@ad.ufl.edu. For handicap guests and those with limited mobility, we recommend you arrive early through Gate 1. Guests should seek the attention of an usher, wearing a yellow tee shirt, for additional assistance and directions upon arrival at gates 1, 16 or 18. There are approximately 90 wheelchair spaces in the south end zone, available on a first come, first served basis. Due to limited space in this area, only one guest is allowed to sit with the disabled guest. Additionally, there are easy-access seats available for those with mobility limitations who are unable to maneuver the steps. Motorized scooters are allowed for guests with mobility limitations. There are handicap parking spaces in the O’Connell Center parking lot that will be available for commencement parking. These spaces are available on a first-come, first served basis. Additionally, GatorLift will have a shuttle for guests with disabilities from the commuter lot located on South Gale Lemerand Drive to the stadium for all four ceremonies at the stadium. A drop-off location will be available at the Southeast corner of Gale Lemerand Drive and Stadium Road. Gator Lift vehicles can accommodate ten passengers and up to two wheelchairs and are equipped with lifts for easy access. All drivers are trained to provide boarding assistance. Passengers with disabilities receive priority seating. Temporarily disabled individuals also may ride Gator Lift. All other guests are requested to ride the school buses providing shuttle service to/from Ben Hill Griffin Stadium. Wondering how much your student will need to pay for the cap and gown which is required if they are walking? For Bachelor’s (cap and gown) and Master’s (cap, gown, and hood) regalia, you purchase as a bundle. Bachelor’s cost about $45 and Master’s is about $60. Doctoral Degree you will want to rent because they are custom and it will set you back quite a bit. All doctoral candidates must wear a hood. Graduate candidates will need to first apply for graduation. Once approved, they can order their regalia online through Gator1 or obtaining an order form from the bookstore. Payment must accompany order. Click here for more information. Remember to make restaurant reservations as well. Generally, restaurant reservations can’t be made as far in advance as hotels, but due to the crowds, you will definitely want a reservation. Check out our blog for restaurants that take reservations here. Some of the restaurants allow reservations on Open Table (not for large parties) but some will require a non-refundable deposit that gets applied to your bill. Keep your water bottles, balloons and wrapped gifts at your hotel or in the car as they are prohibited at graduation (as are the more obvious weapons, alcohol, and air horns). Flower bouquets are available for sale inside the O’Connell Center for $10, $20 or $30 depending on the size. There is only a small selection. Our recommendation is to pick up flowers in advance. You may get them from Publix or any other local supermarket or we were very pleased with our purchase at The Flower Shop located at 3749 W. University Drive. HaveUHeard that you will need to go through a metal detector before entering. The lines are extremely long if you have a purse or bag (the clear bag policy will be enforced) If you don’t have a purse or bag, get in that line and go save seats for your party; however, please note that cell phone service is very limited inside the stadium Additionally, parking is very difficult. Check out commencement parking information here. Seating is on a first come, first serve basis with special accommodations for those that need it. You will need to contact the ceremony venue (O’Connell Center, 352-392-5500) at least two weeks in advance. Finally, if family and friends cannot make it to the ceremony, UF does have a live webcast of graduation. I am still able to pull up my daughter’s graduation ceremony from 2014. I know you are going to want some great photos. Many students (particularly photography enthusiasts) will offer their services to take some amazing pictures around campus for a reasonable price days before graduation. One of my favorite photos of my daughter and a few of her besties (they shared the cost) was taken on the football field. Of course, everyone wants a picture in front of Albert and Alberta, so the crowds will be massive. Encourage them to book their photo session very early in the morning. It is cooler then too. And once you get there and want those family pics with your student adorned in cap and gown, be sure not to leave it for right before or after the ceremony, because that is what everyone else will do and you will literally wait in a LONG line to snap a few by the famous statue. Join the Class of 2019 on May 2nd at 5 pm for the inaugural Senior Sendoff at the Gator Walk Village at Ben Hill Griffin Stadium. Live music, free food, a beer garden, carnival games, free professional graduation photos, giveaways and more. Finally, we’ve got some great graduation gift suggestions including diploma and tassel frames.